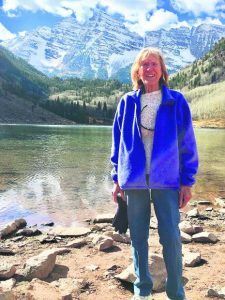 Midvalley voters will be particularly busy in an otherwise tame local election cycle in the Roaring Fork Valley. Voters in the Crown Mountain Park and Recreation District will determine the fate of a proposed 63,000-square-foot recreation center. Question 4C asks for a property tax increase of up to 2.5 mills to raise $735,000 annually to operate and maintain the recreation center. Question 4D asks voters to approve a property tax increase to cover $25 million in general obligation bonds that would be issued to construct and equip the facility. The ballot question states that the maximum repayment cost would be $50.85 million over a period of 20 years. However, Bill Reynolds, president of the Crown Mountain board of directors, said a more realistic projection is a total repayment of $39.4 million, based on current interest rates. State law requires ballot questions to outline the maximum that taxpayers would be forced to repay. The ballot question lists the highlights of the recreation center as an aquatic area with a four- and six-lane lap pool, a leisure pool and a hot tub, weight and cardio facilities, two group fitness rooms, a multi-purpose gym, an indoor jogging track, a gymnastics and zero-gravity gym, and a dedicated senior center. Proponents claimed during the campaign that the facility would be a community center that creates a greater sense of place in the midvalley. They said it would boost health and wellness and would provide children with a much-needed facility. Opponents said residential and commercial property tax payers shouldn’t be saddled with higher bills to subsidize recreation for those who want an indoor facility. Other foes said Crown Mountain Park is a midvalley gem that shouldn’t be altered with extra lights, traffic and asphalt parking lots. The burden or benefit of the tax was in the eye of the beholder during the campaign. Supporters of the recreation center tried to sell the facility as a wise investment worth a marginal tax increase. Foes claimed the cost would be too great for taxpayers still struggling to recover from the recession. If approved, 4C and 4D would increase taxes by $5.51 per month per $100,000 of a home’s market value. A home with a market value of $500,000 would pay an additional $27.55 per month and $330.60 per year. The tax hike for the construction bond would go into effect in 2014 and show up on 2015 tax bills. The tax hike for operations would go into effect in 2016 and appear on the 2017 tax bill. Homeowners currently are paying $18.24 per month per $100,000 of market value in property taxes to support Crown Mountain Park. If approved, the recreation center also would charge membership dues and fees for classes. The center would be open to anyone, with higher rates charged to those outside the district. Family passes would be discounted, and residents 70 and older would receive free membership. The Crown Mountain Park and Recreation District estimated that 10,000 people live within its boundaries, which are the same as the Basalt and Rural Fire Protection District. The boundaries stretch from the Eagle-Garfield county line just west of the Blue Lake subdivision to Old Snowmass in the valley floor. That includes Basalt and the El Jebel area. Portions of Missouri Heights and the Fryingpan Valley are also in the district. 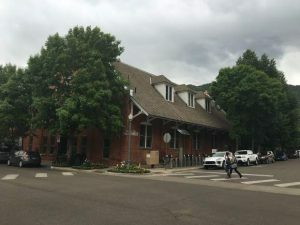 The other issue dominating midvalley discussions during the campaign is the town of Basalt’s request for voter approval to issue $5 million in bonds. It is Question 2B for Basalt residents, regardless of whether they live in Pitkin County or Eagle County. The funds are being sought to restore a portion of the Roaring Fork River near the current Pan and Fork Mobile Home Park, just west of downtown Basalt. The project also would ease the flooding threat, construct a riverside park and make part of the trailer-park site developable. The ballot question isn’t a thumbs-up or -down on the project. The town already has started relocating residents of the 35 trailers that were occupied in the park, and a contractor is starting the first phase of the river work. Instead, the ballot question seeks the funds needed to finish the project more quickly. Proponents, who dubbed their campaign “Fix the Fork,” said the project was necessary to remove the mobile-home-park residents from harm’s way. Studies performed by consultants as part of the Basalt River Master Plan showed the Pan and Fork at high risk of flood damage. Proponents submitted comments for the ballot that tout “Fix the Fork” as an overdue project. Opponents contend that the project is needlessly forcing the eviction of between 150 and 200 residents of the Pan and Fork. While the town has budgeted as much as $1 million in financial aid to help the residents relocate, critics contend that it isn’t enough. Many residents have spoken up with concerns that they won’t be able to remain in Basalt. Other observers, inside and outside the trailer park, question the validity of the flood threat. The election also features a variety of state questions. Eagle County’s election is by mail ballot only. Ballots for Roaring Fork Valley residents of Eagle County can be dropped off at the El Jebel Clerk and Recorder’s Office between 8 a.m. and 5 p.m. today and between 7 a.m. and 7 p.m. Tuesday. 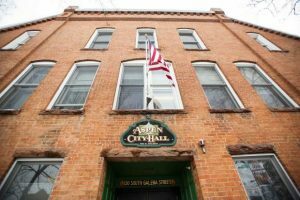 In Pitkin County, mail ballots can be dropped off at the Pitkin County Clerk and Recorder’s Office in Aspen, and on Election Day they can be dropped off at The Church at Redstone from 7 a.m. to 7 p.m.
Pitkin County also will provide polling centers from 7 a.m. to 7 p.m. on Election Day at the Clerk’s Office in Aspen, Snowmass Village Town Hall and Grace Church in Emma. 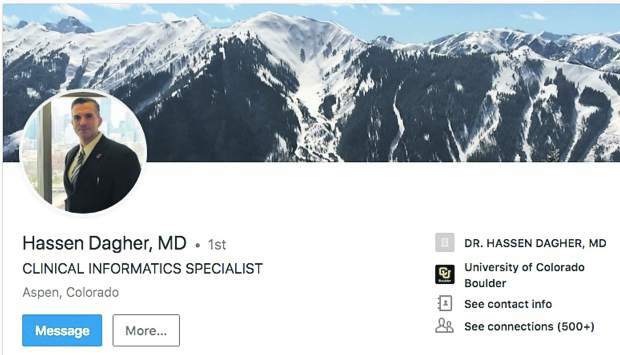 Mail ballots can be dropped off at the centers, or ballots can be cast at the centers, according to the Pitkin County clerk’s website.